WordPress is a key part for every bloggers or even developers. WordPress platform is one of the popular in all developers, designers or bloggers community. Its granted good features and usability in wordpress. 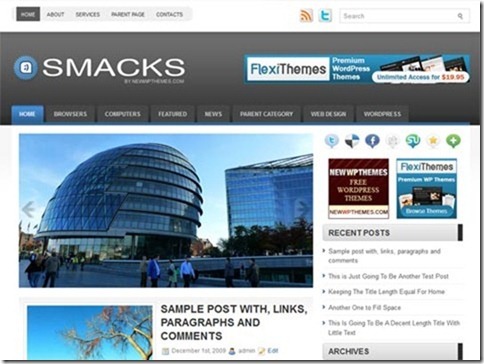 There’re many free of charge and premium WordPress themes available. 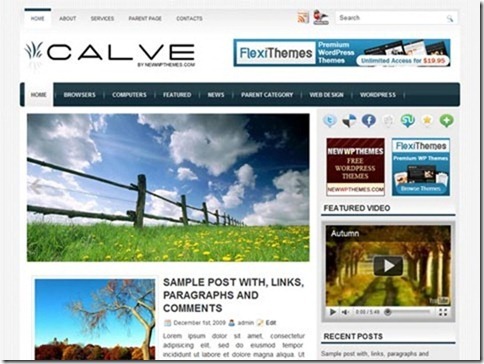 If you get a free premium WordPress themes, you will save your money. Here we try to choose 30 Most downloaded Free Premium WordPress Themes that are ready for your blog! great wordpress theme i found here. I use one theme for my wordpress site. Do excuse me…but all the themes look the same to me. They seem to be a part of some auto theme generator software. Nothing innovative. Please, consider to add my Beauty & Clean Theme, is a minimal theme and is free. Thx! I’m totally agreed with you Eileen. Many thanks for sharing the website as I am new to wordpress. Luciano is right, if you go with a free theme be aware of hidden code and of the fact that you may not have access to fully edit / update / customize your site. There are many premium themes they don’t actually cost that much. This site http://wordpressthemeadvisor.com/ provides very in depth reviews and honest advice on the most popular Premium WordPress themes. if you are going to use free themes, be carefull with hidden code.